Last May I wandered into a charity shop and walked out with 11 recent back issues of POETRY magazine. Of all the wonderful poems and poets I read in those issues, one in particular grabbed hold of me and wouldn’t let go. It was Sumita Chakraborty’s long poem “Dear, beloved” in the April 2017 issue. The poem starts with this epigraph from Brigit Pegeen Kelly’s ‘Dead doe’, one of my absolute favourite poems by one of my favourite, formative poets. From that moment, I was entranced. Over a number of pages, Sumita’s poem unfolds with power, grace and relentless, startling imagery. It is vulnerable and unflinching. It speaks to myth, to grief, to ghosts, to implacable mountains and unsettling liminal space between dream and reality and imagination. It really is an extraordinary tour de force. You can read ‘Dear, beloved’ in full here. Then I recommend listening to her conversation with Don Share, editor of POETRY magazine, about the poem here. When Stu and I were discussing the line up for Verve 2019, I cheekily mentioned that I would love to see Sumita at Verve. Every year I leave all the programming in Stu’s capable hands but simply couldn’t help myself. I knew it was a long shot to invite a poet to fly in from the States but I thought UK audiences simply had to hear her in person. Sometimes the poetry stars align to make a once-in-a-lifetime reading possible – and here we are. Why did I highlight Sumita? Welcoming Sumita Chakrabtory to Verve is exciting for a number of different reasons. We’re so delighted that Sumita is flying over from the States just for Verve! Every year our line up gets more global and ambitious, so this is very exciting to have a rare visit. 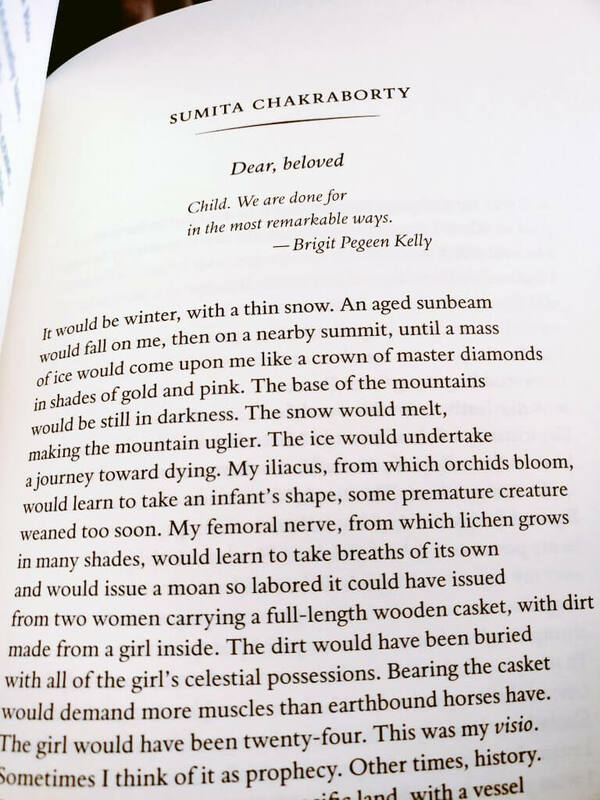 In addition to reading with Vahni Capildeo and Sophie Collins on Saturday evening (Friday 16th), Sumita is also performing a solo reading of her poem, ‘Dear, beloved’ Sunday at 1 PM. *glee* If, like us, you’ve been so mesmerised by a poet and have often wished that they had longer than the usual 10 – 15 minute set at most poetry events, you’re in a for a genuine treat. And it’s only fitting, as ‘Dear, beloved’ is a poem that deserves to be experienced in full. So grab your ticket and settle in for a delicious 45 minute poetry reading. 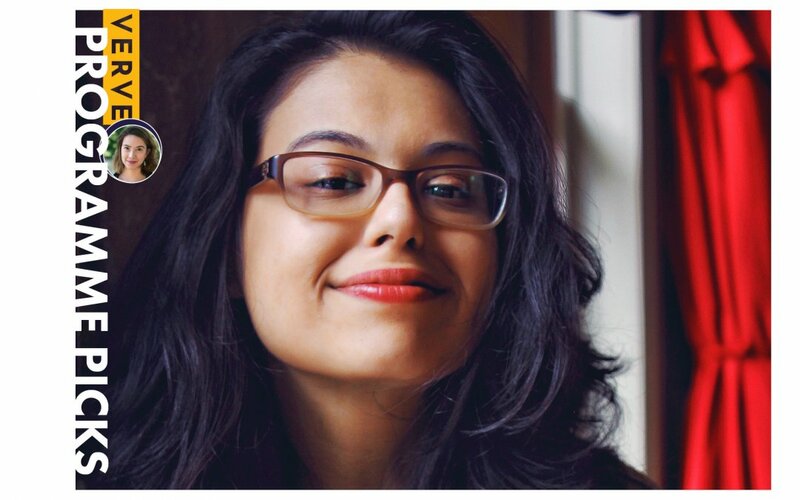 Because we couldn’t get enough of this remarkable writer, Sumita is also our official Poet of the Festival! This is a brand new role which we’re launching for the third year of Verve. 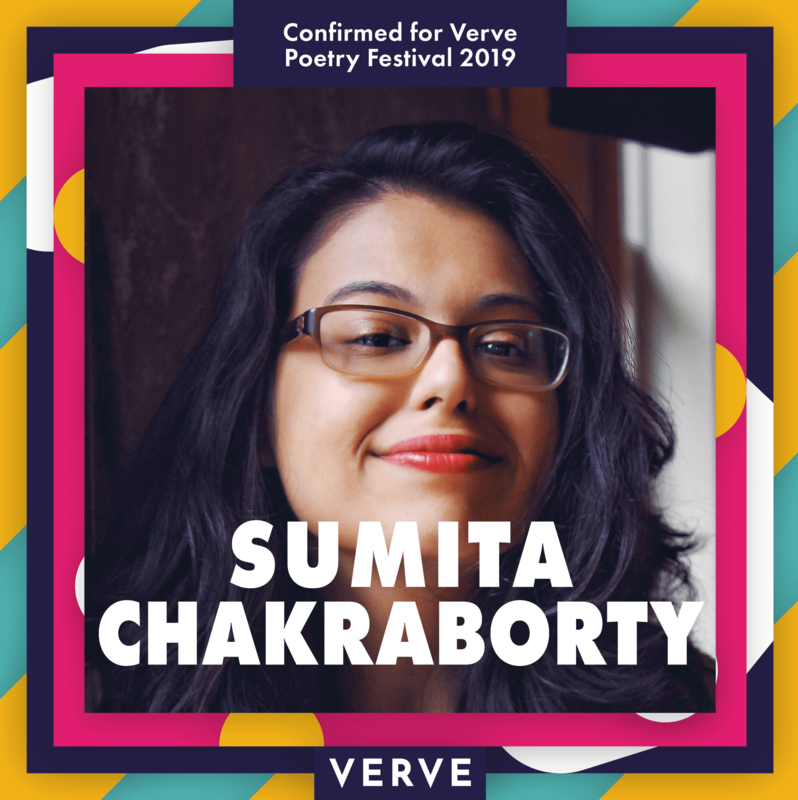 To celebrate this, Sumita very kindly allowed Verve Poetry Press to publish a few of her poems from her forthcoming collection in a pamphlet, which will be available for sale at the festival. This Verve exclusive means that you can buy a pamphlet of her work a full year before her debut collection is published globally! You read that right. Sumita Chakraborty is Visiting Assistant Professor of Women’s, Gender, and Sexuality Studies, as well as a Lecturer in English and Creative Writing, at Emory University. Her poetry, criticism, and scholarship appears or is forthcoming in POETRY, The American Poetry Review, the Los Angeles Review of Books, Cultural Critique, and elsewhere. She is poetry editor of AGNI Magazine and art editor of At Length, and holds a doctorate in English with a certificate in WGSS from Emory. She received a Ruth Lilly and Dorothy Sargent Rosenberg Fellowship from the Poetry Foundation in 2017, and, in 2018, has been shortlisted for the Forward Prize for Best Single Poem by the Forward Arts Foundation in 2018. Her debut collection is forthcoming from Carcanet in September 2020.